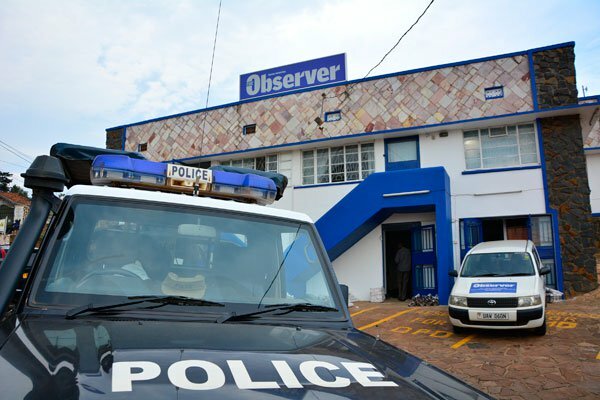 KAMPALA – The Observer newspaper has put blame on the Ministry of Health for its closure by Uganda Revenue Authority (URA). URA on Wednesday, February 20 closed the newspaper over a UGX2.9b unpaid tax. But according to sources from Observer, the tax troubles were escalated by a top official at the Ministry of Health who detailed their tax issues and threatened the management of the weekly newspaper with action if they don’t back off publishing stories from a book on the infighting in the ministry. All this resulted from January 2018, when a 156- page book that was authored by Prof. Anthony K. Mbonye has detailed a litany of in-fighting and power struggles that led to his resignation as director general of health services in charge of clinical and community health. In a statement released by The Observer, URA sealed off their officers yesterday February 20 yet they have had a couple of meetings with them concerning these issues. “This afternoon, URA sealed off our offices in Kamwokya claiming that we have not me out tax obligations. The truth is we have been in several meetings with URA since December 2018 trying to settle the discrepancy between their figures and ours,” read the statement, in part. The statement further adds that there is a miscommunication between the enforcement department and the domestic tax department. “The enforcement department proceeded without being updated by the domestic tax department. We are in talks to see to it that this problem is sorted out as soon as possible,” adds the statement.